Save time on clean up. Homeowners: Your livable remodeling experience STARTS HERE. YOUR CLIENTS WON’T TOLERATE THIS. Homeowners and tenants realize that a remodel will disrupt their lives. What they won’t accept is the dust, hanging in the air and gathering on their things. So how can you eliminate it while it’s still in the air, give your clients peace of mind, and build your business all at the same time? 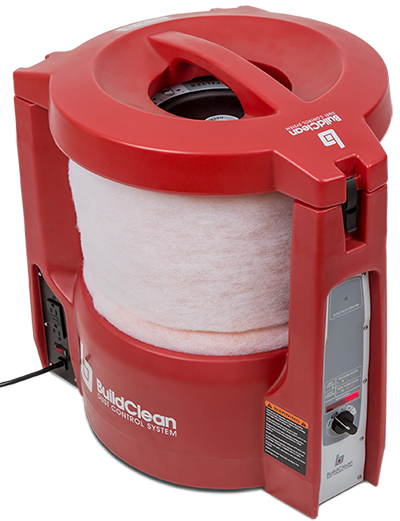 BUILDCLEAN IS A REVOLUTION IN DUST MANAGEMENT. Are you ready to live comfortably through your remodel? 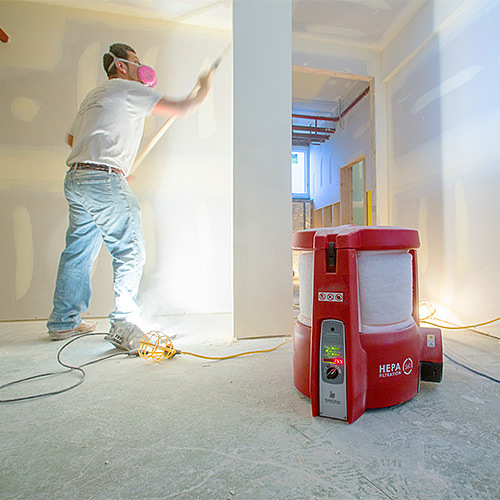 Make sure BuildClean is part of your contractor’s dust control program. FIND MORE LIVABLE REMODELING TIPS. GET THE JOB DONE BETTER THAN EVER. 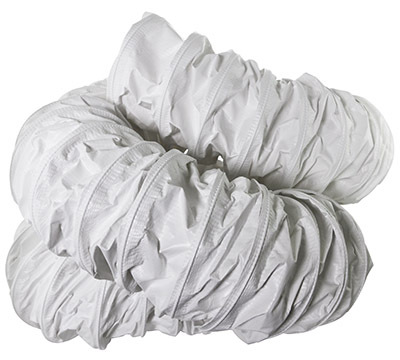 BuildClean is different from the usual dust barriers, fans and vacuums. 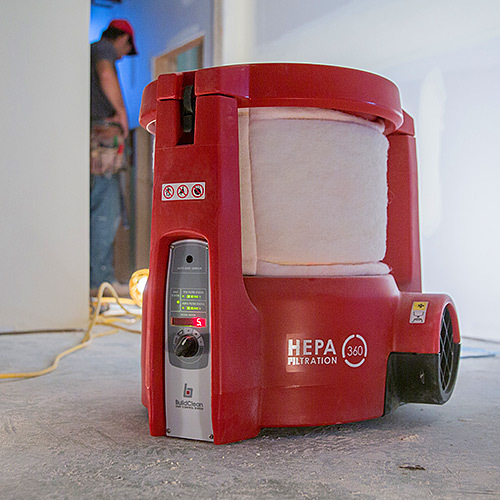 This innovative dust control system minimizes the migration of dust throughout your clients’ homes or offices, giving them the exceptional experience they demand—and the recommendations you’re looking for. Learn more about our full line of dust control tools. 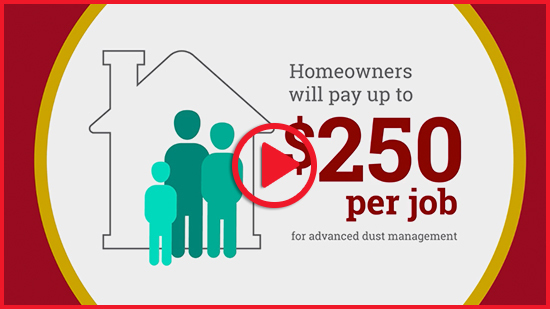 "Sales tool that pays for itself..."
Imagine the reaction you’ll get when you tell potential clients that you’ve got a dust control program in place, which will allow them to experience a livable remodeling project. Now, you’re the contractor who cares enough to pay attention to every little detail. You’ll get more work, more recommendations and more opportunities—all because you’ll be known for making your clients’ lives easier throughout the process. 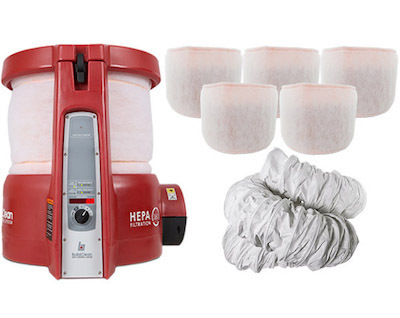 Get the dust under control with these BEST PRACTICES. DISCOVER THE BENEFITS OF FULL IMPLEMENTATION. Using BuildClean as a marketing and sales tool on every job will give you the highest return on your investment. 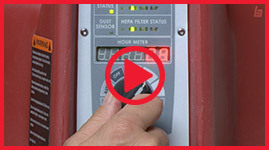 Watch to find out why—and how—to fully implement your BuildClean system. Designed especially for remodeling pros. 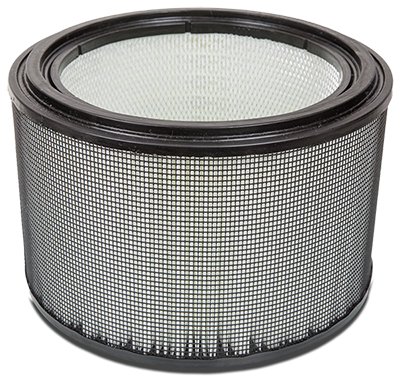 BuildClean dramatically reduces airborne jobsite dust by drawing in air, passing it through a series of filters and returning the “scrubbed” air back into the space. Getting started is easy - just plug it in, turn it on and go. Move over image to zoom! 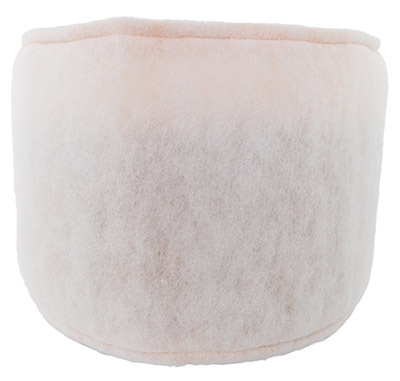 Exchange the air in a 6,000-cubic-foot room six times in one hour. to work how you wish. Perfect for any type of remodeling job, for any type of client. The unique 360° design lets you place the unit anywhere - horizontally or vertically. 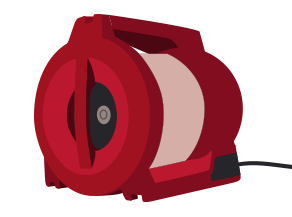 Turn the START knob to AUTO or desired fan speed. 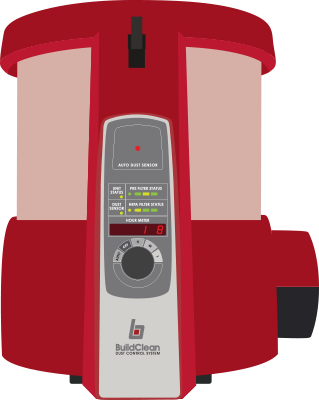 SEE HOW EASY IT IS TO USE THE BUILDCLEAN SYSTEM. We’ve used BuildClean for several remodel and dry walling projects. It’s quiet and portable…yet very powerful for its footprint. I highly recommend this system whenever you remodel; it definitely improved our environment. We have to have an effective solution for jobsite dust to protect their property, their time and—most importantly—their family. BuildClean delivers. BuildClean and build your business. call (855) 595-2860 or fill out the form below. Jobsite dust: Don’t risk it. Don’t accept it. Learn how to ensure a livable remodeling experience HERE. Or, complete this form to share information on BuildClean with your contractor.